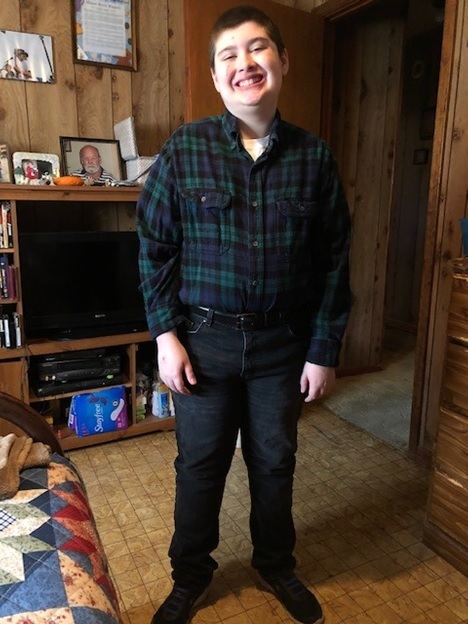 The April 2019 student of the month is Mason Winters, a 6th grade student at Alpha Omega Academy from the Mississippi Delta with a love for art and an impressive work ethic. 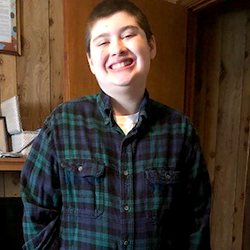 “He works so hard in all his classes, and he is excelling,” wrote Mrs. Laci Meinerts, who nominated Mason to receive this month’s student of the month honor at AOA. My mom found Alpha Omega Academy on the Internet. After she read more about it, she called. She loved how nice everyone was and how they cared. I like that I can take my time and pace myself in my courses. I was surprised how easy it was to access everything. Everything I need to learn is right there. I think my favorite subject is history. I love reading about things in the past. I have a brother named Gabe and a sister Aleigha, but they live in Tennessee. We sometimes get to talk on the phone, and I get to see them sometimes in the summer. We like to go swimming. I play video games, watch YouTube, and I love to read the Goosebumps series of books. I also like to draw. I would like to be a better artist and make my own video game. Someday I would like to be a graphic designer because it is something I have always loved doing. Stay organized, slow down, and always do your best.